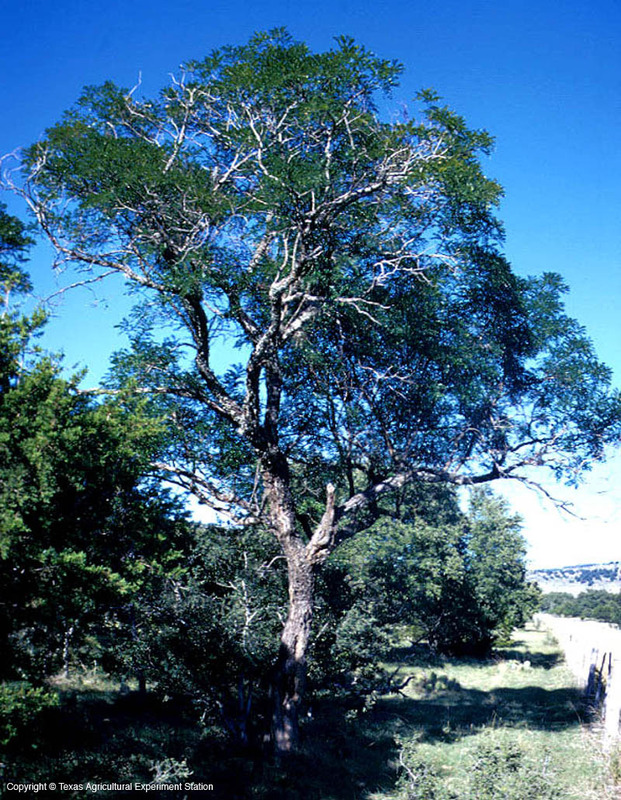 Eve's Necklace is a pretty small tree that is found on limestone soils in the center of the state from north central Texas through the Edwards Plateau. The dark lustrous green leaves are borne in a rounded to upright oval crown. 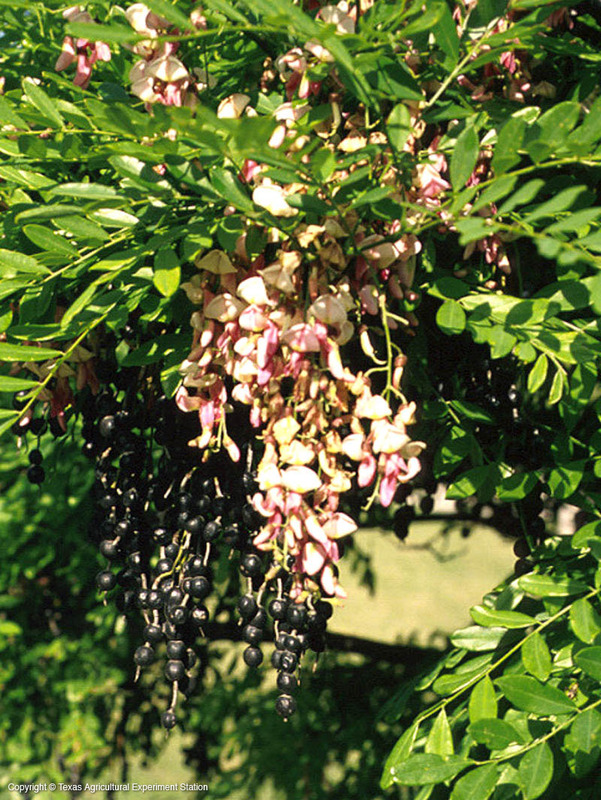 In spring it produces rosy-pink flowers that hang in wisteria-like clusters, followed by fruit pods in late summer and fall that resemble a black string of beads, giving it its common name. 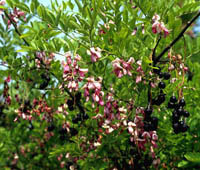 The seeds are reportedly poisonous. Eve's Necklace can grow in sun or as an understory tree; in dense woods it can even be vine-like. 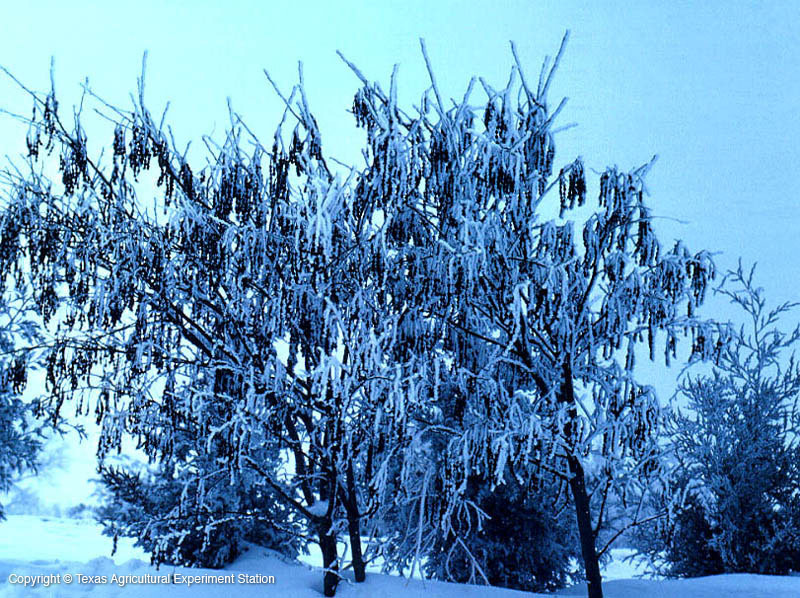 It is related to Texas Mountain Laurel, Sophora secundiflora, which is evergreen. 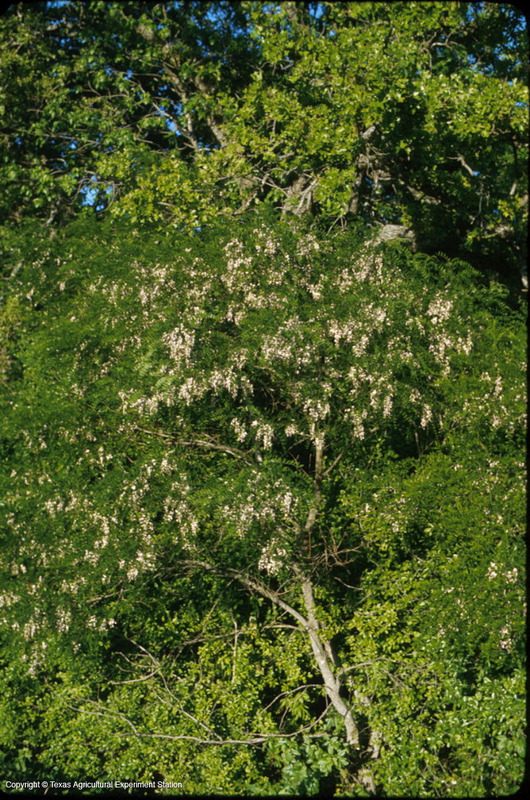 Height: 15 to 35 ft.
Width: 10 to 20 ft.